I am a medical Doctor & homeopath and I can help you to combat the symptoms of this debilitation and irritating allergy with Homeopathic medication and natural supplements. I am doing a special offer for first time patients: Initial consultation – 30 minutes ££60, Follow up – 15 minutes £25, both consultations are inclusive of Homeopathic medication. Offer expires 31st August, booking is necessary. Please contact Dr Janeth Romero de Martinez on 07950 903332 or use the form to email her. At Chelsea Natural Health Clinic homeopath Dr J Romero de Martinez has been busy helping patients get over flu this winter as GP surgeries across the country gear up in case of a pandemic (1). This winter has seen an increase in cases of flu and respiratory infections, and homeopaths have been among those on the frontline, helping people who prefer an “alternative” approach. Dr J Romero de Martinez who is based at Chelsea Natural Health Clinic said: “This system of medicine is suitable for all ages, including babies and the elderly, as it is non-toxic. Flu is a viral infection that’s most common during the winter months. It has a sudden onset of symptoms, which include fever, sore throat and muscle aches. Dr J Romero de Martinez is registered with The Society of Homeopaths, has satisfied The Society’s educational and professional requirements, and has signed up to a strict Code of Ethics and Practice. Homeopathic medicines, known as remedies, can be used at home in acute conditions, but recurrent viral infections should been seen by a professional homeopath* as there may be an underlying imbalance causing the problem. Interest in homeopathy is growing – a Mintel report (July 2007) reported that the sale of homeopathic treatments had seen a 24 per cent growth since 2002. 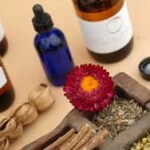 The Society of Homeopaths is the largest body of professional homeopaths in Europe. Established in 1978, it has 1,500 registered members. Registered members of The Society of Homeopaths are fully insured and agree to practise in accordance with a strict Code of Ethics & Practice. A copy of the Society’s Code of Ethics & Practice plus the register is available on www.homeopathy-soh.org. For more information contact Dr J Romero de Martinez using the form above. with Dr Janeth Romero de Martinez, Medical – Homoeopath, 208 Fulham Rd., SW10. We are delighted to welcome Dr Janeth Romero de Martinez, Medical Homoeopath to Chelsea Natural Health Clinic, Fulham Road, London, SW10. She is in attendance on Friday afternoons and can be contacted using the form provided. For more information please visit Janeth’s page.